As you probably already know, I am a total fiend when it comes to hair care. I have tried enough products that I can safely say that I have an opinion on hair care that you can trust. Of course, no one product works on everyone, but these are a few that probably have a much higher success rate. Here are three of my absolute favourite hair care brands, listed in no particular order. This brand of shampoos and conditioners have achieved HG status for me, and that is saying something when it comes to me and haircare! Yuko Phiten is a hair-straightening brand (so ladies who like your curly hair, you probably want to stay away) that adds such wonderful silkiness and softness to your hair, it's amazing! Back when I had 'virgin' hair, the Color Lock-In Care range did absolute wonders, making my hair look incredibly silky, like it had just been heat-styled. Now that my hair is coloured and damaged, it's not doing quite as good a job, but I think that's just because I need to switch to their KokoroG treatment shampoo, for dry and damaged hair. Either way, this is still a keeper for me, and I highly recommend it to anyone looking to improve the look and feel of their hair! 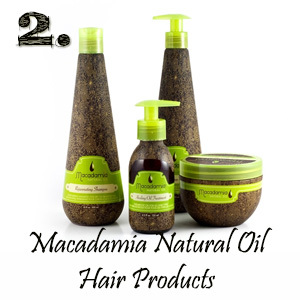 Macadamia Natural Oil is a brand I discovered right before I started travelling, and I absolutely adore it for my colour-damaged hair. I use the No-Tangle Prestyler which is great for protecting your hair from heat damage and adding silkiness, as well as the Deep Repair Masque, which has helped immensely to keep my frizziness and damaged ends at bay. I also have the Nourishing Leave-In Cream, which is a gorgeous, thick cream that leaves the hair feeling smooth and slightly textured when applied to damp hair. All products from this range have kept my hair healthy, thick and glossy-looking, which is why I keep repurchasing their products. muk spa is quite new to the haircare market, though muk is not. Their argan oil range is an absolute dream to use, because they use the best ingredients, and their products are formulated so that they penetrate into the hair shaft to deliver their moisturising goodness, instead of just sitting on the hair. I love their Argan Oil Treatment, which is a serum packaged in a dropper bottle that literally sinks into the hair the minute I apply it - no nasty oily residue whatsoever! Another product that stood out for me was their Shine Spray, a lightweight hair serum that you spritz into your hair - no patting or smoothing or combing necessary. This one I think is amazing for adding some shine to a hairstyle! I was sent a few sample sachets of this haircare range a week or so ago, and I must say that what I have experienced is very promising! After just the first wash, my hair felt noticeably softer. It was easier to comb through, and just felt amazingly smooth! I can't say what prolonged use will do because I haven't had the chance to try it out a little more (I've already gone through all my samples! ), but from what I have experienced, I'd say it's a great brand to look out for. 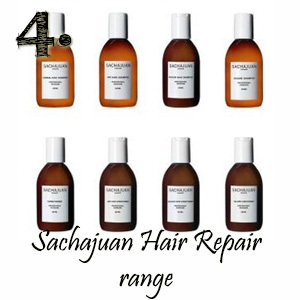 Sachajuan hair care is available at Kens Apothecary outlets in Malaysia. 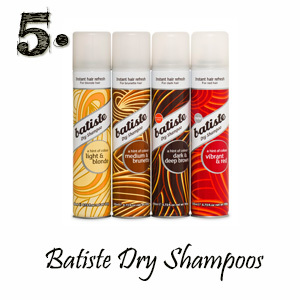 Batiste will forever hold my heart where dry shampoos are concerned. This range of dry shampoos work just right for me, and I love that they have a brunette option, so I don't have to worry about white residue on my scalp when I use it.